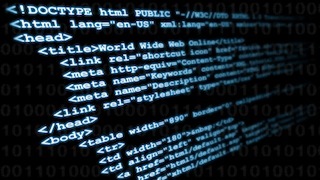 Much has been written about the value oftitle tags, the most important of all SEO attributes. What’s often highlighted are the dos and don’ts in terms of syntax. From a pure conversion and marketing perspective, however, there is a lot of additional value to be squeezed out of title tags. Ecommerce businesses have already begun to differentiate themselves within the search engine results pages to steal more clicks from the competition. To do so, they have looked at title tags as another marketing platform – to convey offers, details on what’s inside (the site), to reinforce the brand’s value proposition, and to position by pricepoint. The process has already started, and as a publisher you need to make sure you are adapting your marketing strategy to line up, or get left behind. Google made the link building algorithm popular in the late 1990s and early 2000s. It was a revolution in its time because it provided search engines with a method for identifying the most important web pages for a given topic. However, as has been well documented, spammers have assaulted the algorithm with a wide variety of methods for buying links or creating them in other ways that don't work for the algorithms. Even if you generate all your links in a pure white hat way, through reaching out to site owners and requesting them without compensation, or are doing high quality guest posts, you aren't necessarily generating the best possible signal for search engines. Certainly this type of link building done properly would not be a violation of the Webmaster Guidelines, but from the perspective of the search engines it also doesn't represent a groundswell of opinion raving about your product. It still means something, but it is brute force driven through your efforts, rather than resulting from the enthusiasm of your audience. I don't believe that search engines will penalize people who link build this way, but I think they will value the link profile that is manually built less than one that obtains unsolicited endorsements from the web. Prior to the emergence of Google, links weren't a ranking factor in a significant search engine. At that time, any unpaid links were implemented solely based on merit, because the publisher had no other reason to link to someone else's page. Even paid ads were based on the advertiser valuing the traffic from the target site enough to be willing to pay for it, since there was no other benefit - so these too went to highly relevant pages as a rule. Short and simple: links were a better quality signal when the world didn't know that they were a signal. But, those days are gone. In the past year, presidential parodies and clever online-only ads became viral sensations; "annoying" but lovable fruits and unassuming Alabamans transformed uncomfortable situations into triumphant social memes; and talented partners have drawn huge audiences with channels that showed people how to crochet flowers, apply the perfect lipstick -- and sometimes just how to have fun. One of the partners making six figures a year is Michael Buckley, writer, producer, and star of entertainment news show "What the Buck?" For Buckley's backstory, read "YouTube Videos Pull In Real Money" by Brian Stelter, which appeared Dec. 10, 2008, in The New York Times. One of his recent videos is "OMG! LADY GAGA KILLED OSAMA?!!!! - A "Superstar" Dance For Our Troops! :-)." Two years ago, YouTube asked Buckley to share the secrets to his success. He created the video below that covers topics ranging from how to get more views on YouTube to how to make money on YouTube. 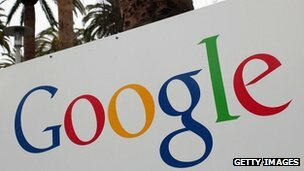 Google has announced that it is dropping seven more products in an effort to simplify its range of services. The out-of-season "spring clean" brings an end to services including Google Wave, Knoll and Google Gears. It is the third time that the US firm has announced a cull of several of its products at the same time after they had failed to take off. Experts said the strategy might put off users from signing up to new services. 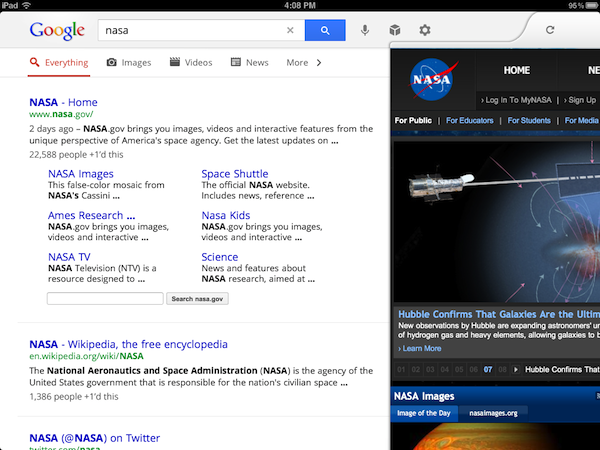 Google announced the move in its official blog. "We're in the process of shutting a number of products which haven't had the impact we'd hoped for, integrating others as features into our broader product efforts, and ending several which have shown us a different path forward," said Urs Holzle, Google's vice president of operations. Google has announced a series of updates to its Google Search app for the iPad to entice users to search via its service rather than the device's native Safari tool. These include its Google Instant search capability to display results as the user types and improved visual displays for image searches by creating a carousel to let users swipe through images that are displayed on a dark background. Google has also added a new search history system that is designed to make it easier to find old searches on the iPad, as Google's software engineer for the iPad, Daniel Fish, explained in a blog post. Hello,I'm Sujeesh. Working in a IT Company in India. Now I'm Researching on Search Engine Optimization.I have completed Web Programming and Graphic Designing from National Institute of Technology -India. SEO Tips and Tricks. Powered by Blogger.